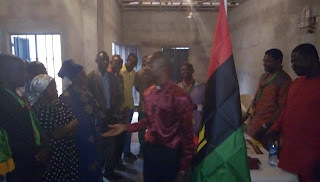 It was a wonderful event as ministers in Ikwo LGA especially those in the family of IPOB already came out in mass to join the struggle in the religious angle to restore Biafra. The clergies promised to keep praying as they work hard in the area of evangelism for the nation of Biafra, not just to bring more ministers into the family of IPOB but to make sure the entire Ikwo and Ebonyi central in Ebonyi state is well saturated with the gospel of Biafra restoration. 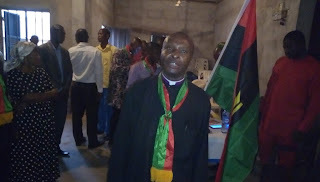 Bishop Nwachinemere Stanley, the leader of SCCOB and PRO Ebonyi state IPOB anchored the inauguration. 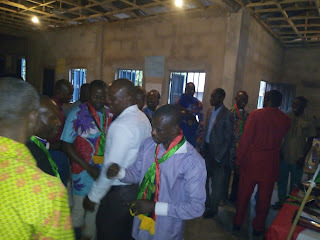 He was assisted by his deputy Pastor Ezeh and the State Mobilization officer of the department. He thought them the main assignment and the duty of ministers and gospel preachers during a special lecture to them. "As a minister you're a liberator and if you don't join the struggle to liberate your people, I wonder what you're doing, don't allow yourself to be used by the politicians because they don't mean well for you". 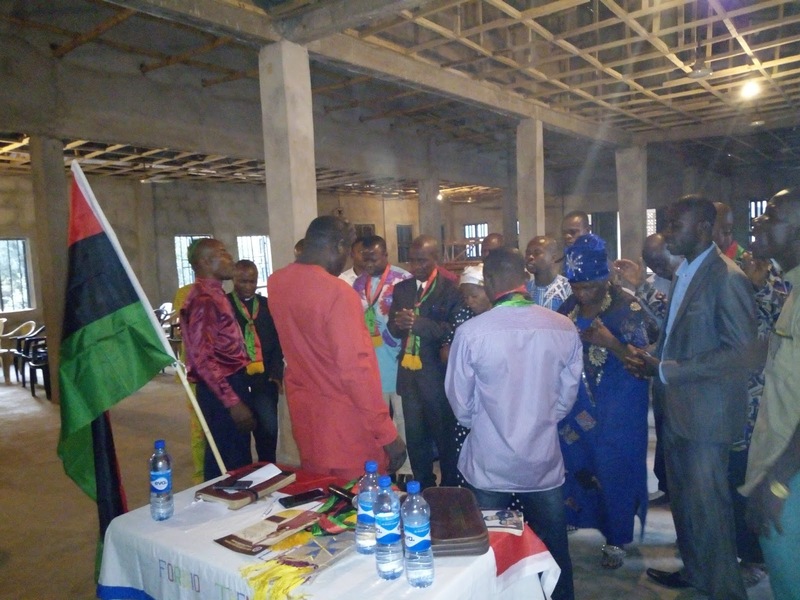 Pastor Ezeh the deputy leader of SCCOB in Ebonyi state, anchored the intercessory prayer which the ministers prayed for Biafra restoration, they equally prayed for the leader of IPOB Mazi Nnamdi Kanu and all the principal officers working assiduously for Biafra restoration. 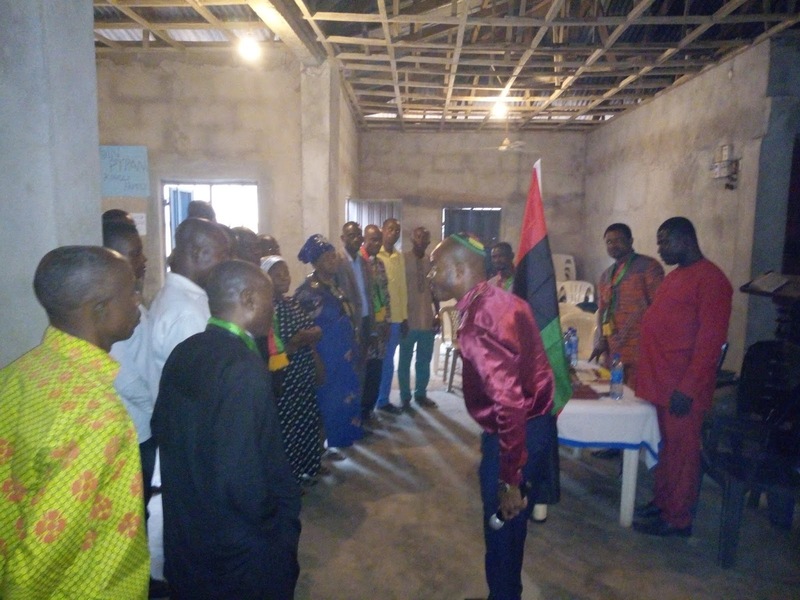 Shortly after the inauguration, the leader of SCCOB in Ikwo LGA, Rev Ogu ensured IPOB that he shall work hard with his colleagues in making sure that the entire jurisdiction under his watch is properly sensitized. The Ikwo LGA IPOB coordinator, Mazi Nwikpuka Boniface expressed his joy over the development and applauded the efforts of the ministers who came out to stand the cap to spiritually fight the cause of the people of Biafra. The department of Supreme Clergy Council Of Biafra (SCCOB) under IPOB led by Nnamdi Kanu, shall stand to fill the vacuum and replace CAN and other politically formed Christian religious groups in Biafra, who have woefully failed on their primary responsibilities in the area of interceding for the people. 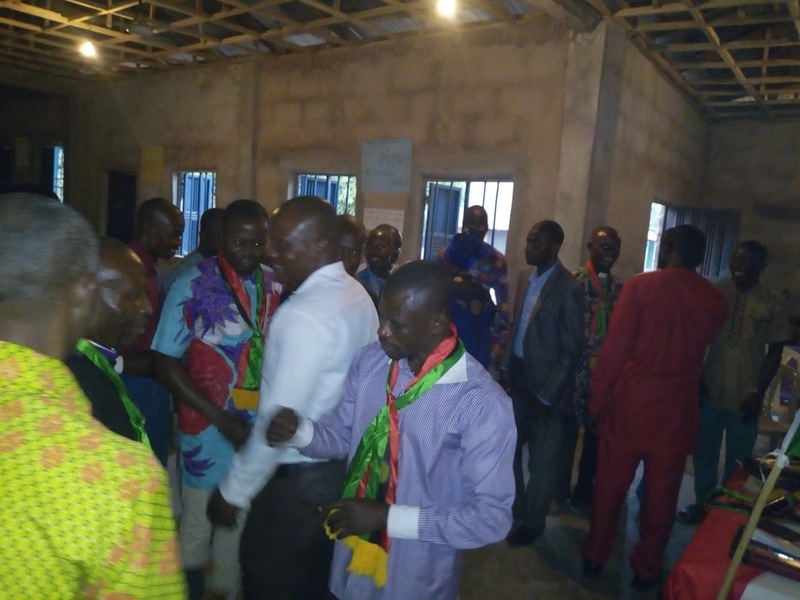 Ebonyi state chapter of the department after the state inauguration, 29th November, 2018 in Abakaliki Ebonyi state capital, has continued to preach the gospel of Biafra restoration to their thousands of members across the state. They have pledged to keep on doing the work till Biafra is fully restored. Some of the ministers during the inauguration shared their opinions and Revelations on how they got convinced to join IPOB in the struggle to restore Biafra, "I saw it in a vision that Biafra will be restored, that's why I joined the struggle". One of the executives said. "In a vision I saw Biafra being restored this year 2019". Another preacher revealed. From all indications, they were optimistic that Biafra will be restored irrespective of what the enemies or the Nigeria government may do or trying to do, because it is a divine arrangement and no man shall stop it.